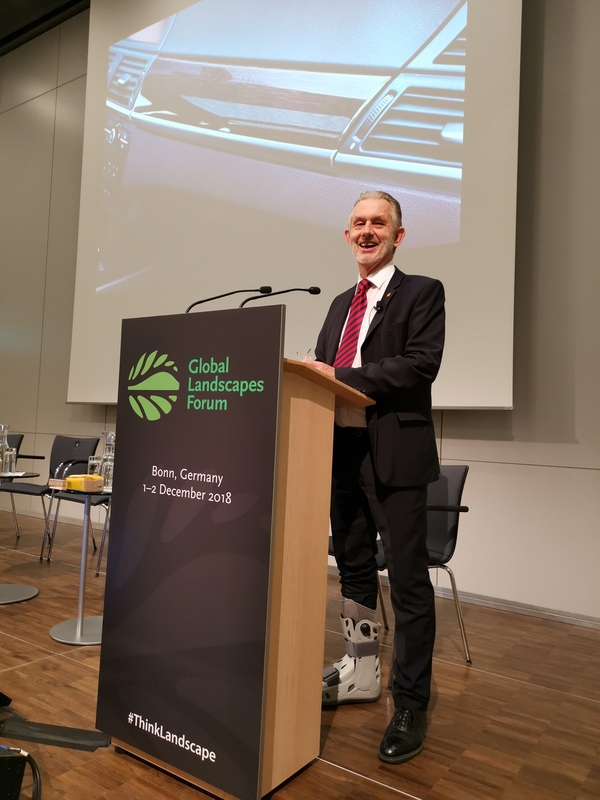 The Global Landscapes Forum (GLF), a knowledge-led multi-stakeholder forum dedicated to promoting the landscape approach, was held on December 1-2 2018 in Bonn, Switzerland. 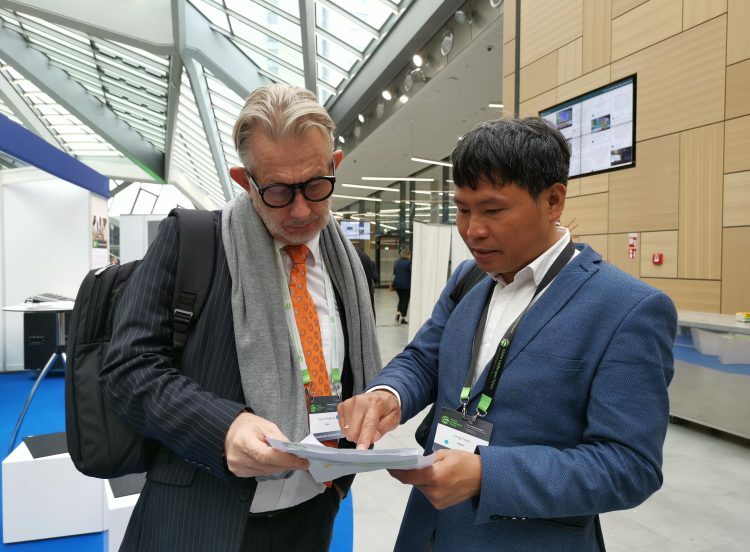 Since 2013 a side event for UNFCCC’s Climate Change Conference (COP), since 2017 the Global Landscapes Forum is a permanent fixture in the events calendar. GLF is organized by CIFOR, the Center for International Forestry Research. 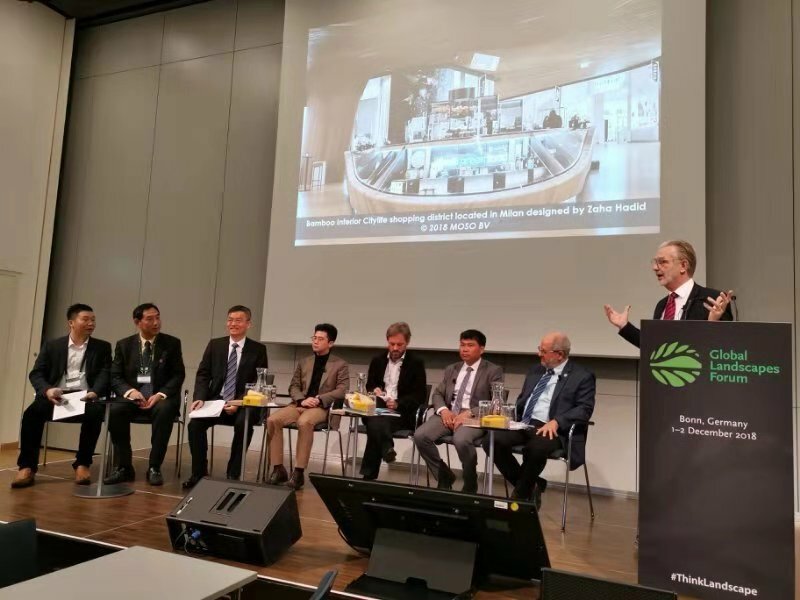 In 2018, INBAR Secretariat Director General Hans Friederich and his assistant Li Ting, along with GABAR head Trinh ThangLong and Director of Communications Wu Junqi, attended the Global Landscapes Forum and held a range of interactive, wide-reaching activities showcasing the increasing role that bamboo and rattan. INBAR’s Director of Communications, Dr. Wu Junqi, was part of a panel on Mobilising Collective Action at the Forum. 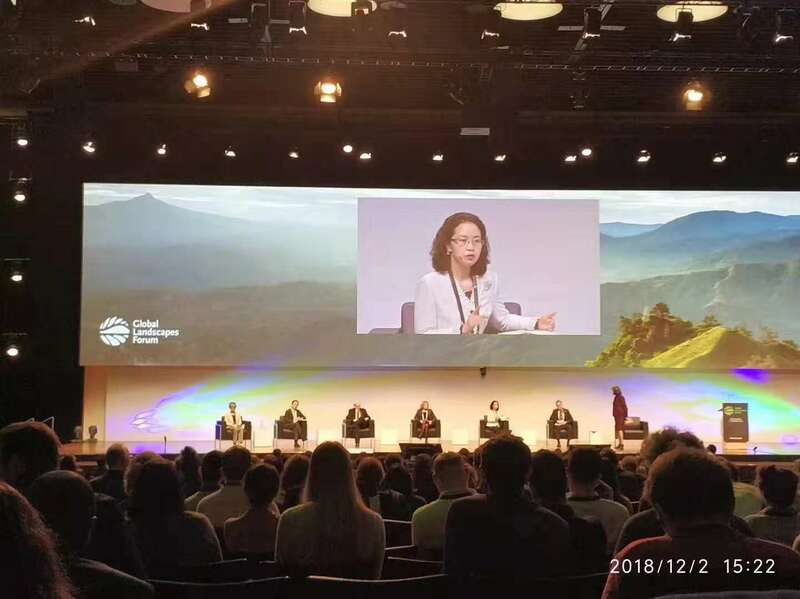 As well as contributing to the panel debate, Dr.Wu spoke about INBAR’s power to mobilise its large network of 44 countries, all but one of which are from the Global South, to facilitate green, inclusive development. 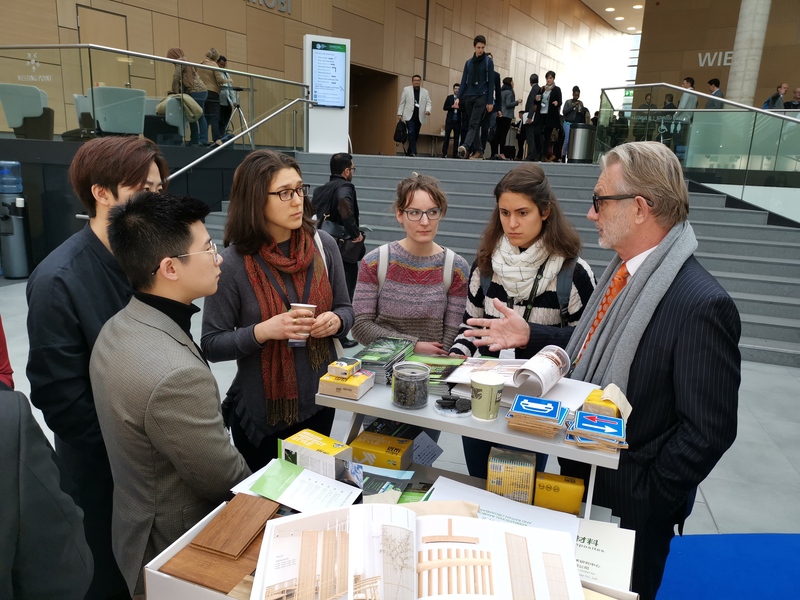 A well-attended booth for bamboo was manned by INBAR staff members and partners, which allowed for casual visits by interested parties. It was especially encouraging to see a large amount of young people visiting the booth. 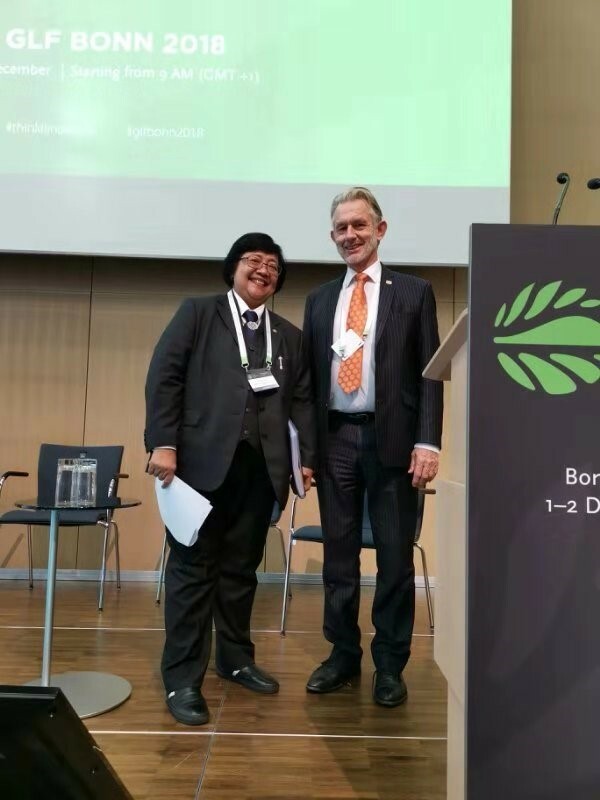 In the Learning Pavillion, INBAR Director General Dr. Hans Friederich and Trinh Thanglong led a workshop on ‘Testing your bamboo knowledge’. 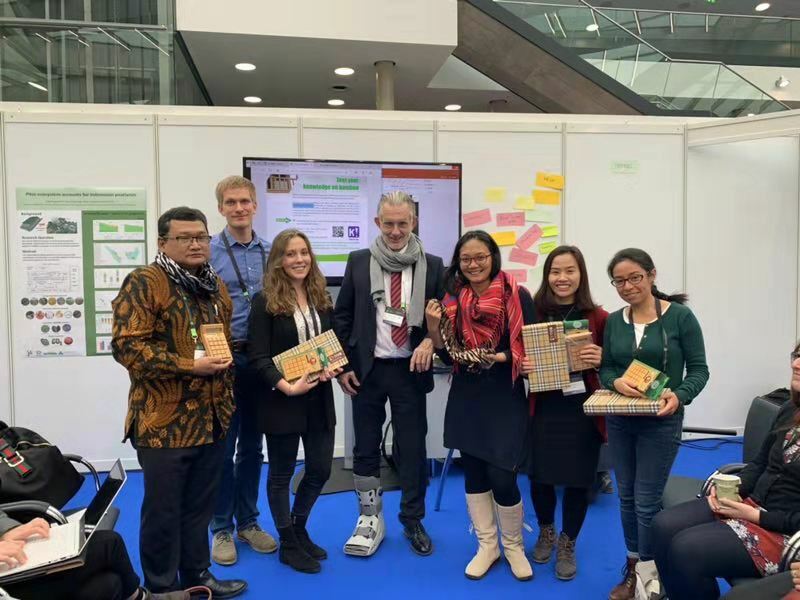 Six participants were awarded prizes for getting the most questions right from our challenging bamboo quiz, and the event was an opportunity to bring this amazing plant to more people. Alongside the main event, a side session was held on bamboo for land restoration and economic development. Early although the session was, starting at 9am, it was well-attended, and sparked lively discussion. A panel of speakers, moderated by Dr. Hans Friederich and including Eduardo Mansur, Director of FAO (The Food and Agriculture Organisation) Forestry Division; Vincent Gitz, Director of the CGIAR research program on Forests, Trees and Agroforestry (FTA); Trinh Thanglong; Mr. Ye Lin from China’s Bamboo Winding Composite Research Centre; Mr Cai Liang – Chief Branding Officer of Vanov Bamboo Tissue Enterprise, Sichuan, China; and Dr. Jiang Jingyan, President of Yong’an Institute of Bamboo Industry, discussed bamboo’s potential for economic development, giving inspiring examples including that BABO bamboo tissue paper, a successful company operating out of Sichuan, China – and represented too at the Global Landscape Forum. 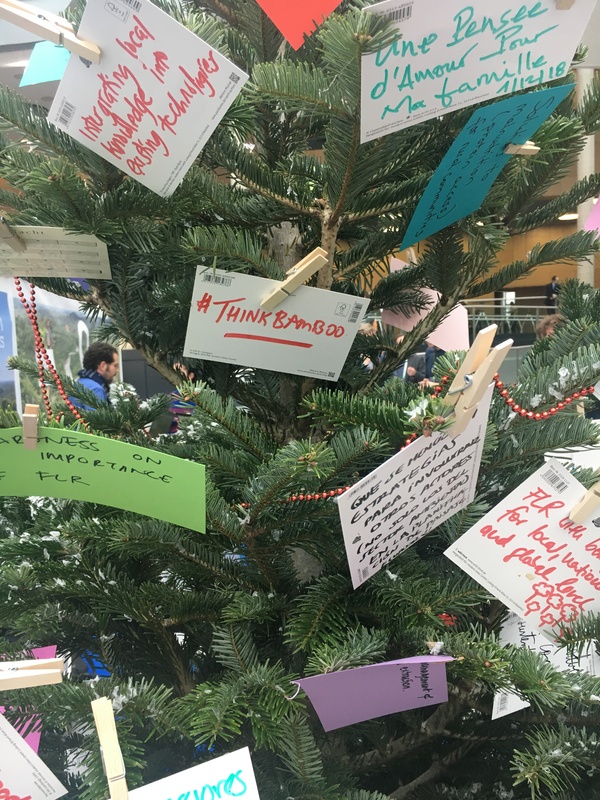 Alongside this side session, bamboo was found in many others places – check out this tree decorated with wishes for 2019 – including #ThinkBamboo! 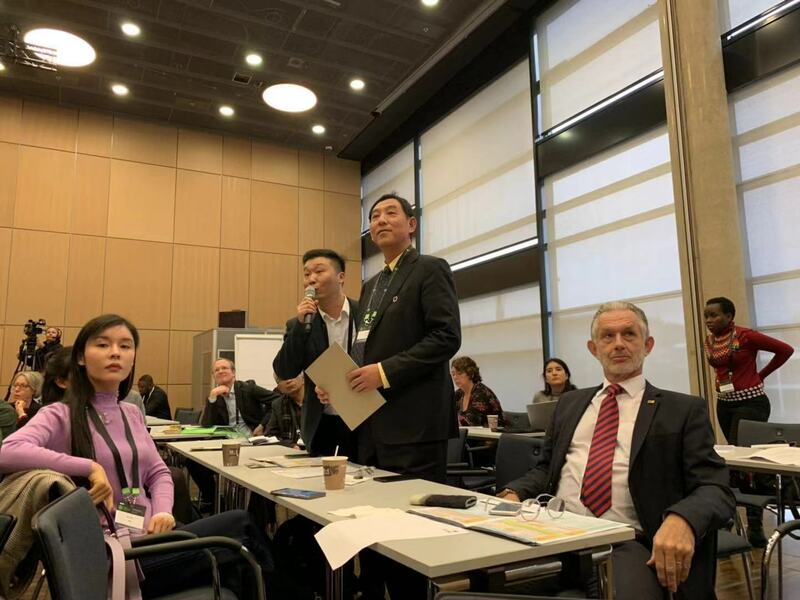 In addition, another side event was attended by INBAR and its partners, and the case for bamboo as a successful case study in Green Supply Chains was made by M. Ye Lin (below right). 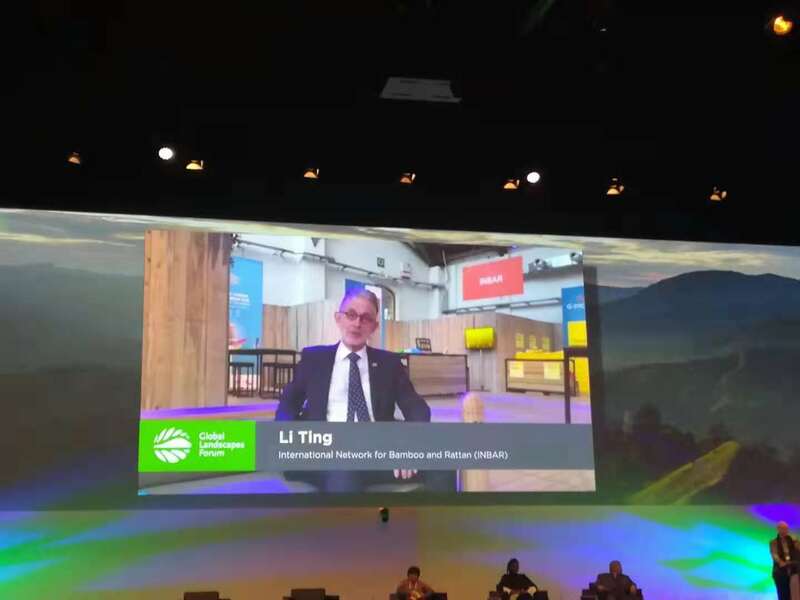 He spoke up at the Discussion forum ‘From forests to markets; making supply chains greener through PPPs’, co-organised by the International Tropical Timber Organisation (ITTO). 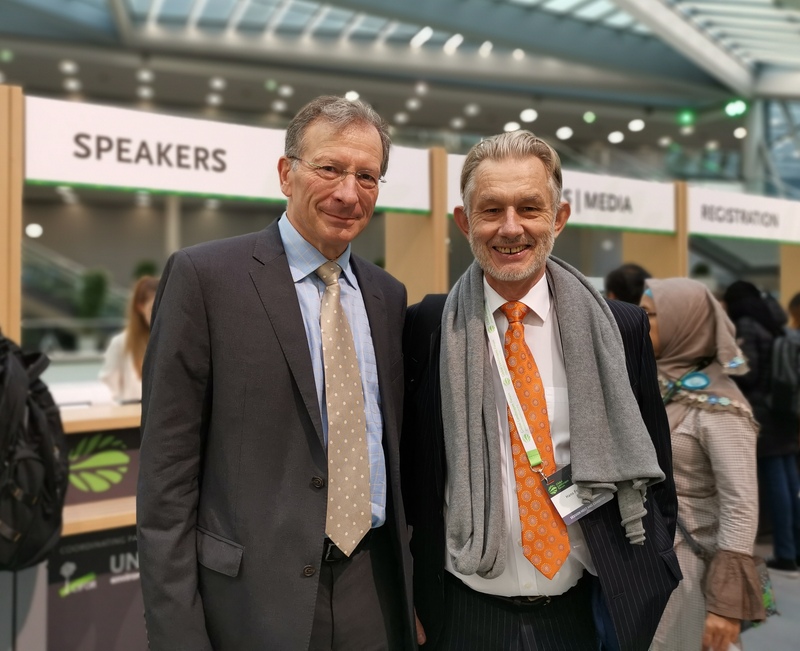 Pictured below (left) is Hans Friederich with ITTO’s Director General, Dr. Dieterle. This discussion covered the need for transparency about environmental impact across the whole supply chain, and ITTO discussed its Landmark Global Green Supply Chain Initiative. 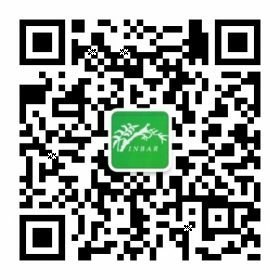 Other natural commodities can learn from INBAR and bamboo’s example and scale up the greening of their supply chains through cooperation, partnerships, commitment and action. For the first time, INBAR has signed the GLF Charter, joining a growing group of donors, organisations and initiatives dedicated to global land restoration and including the UN Environment Programme, the World Bank, and more. 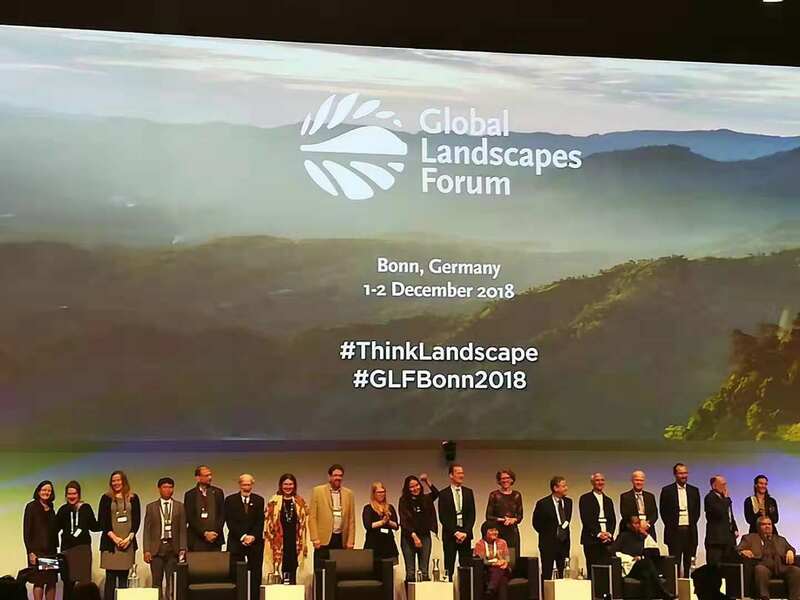 The GLF Charter members took to the main stage at the Forum, pledging to work together to achieve Landscape goals and turn their commitment into action. Dr. Friederich also took part in a video as part of the Charter which was played during the main event. 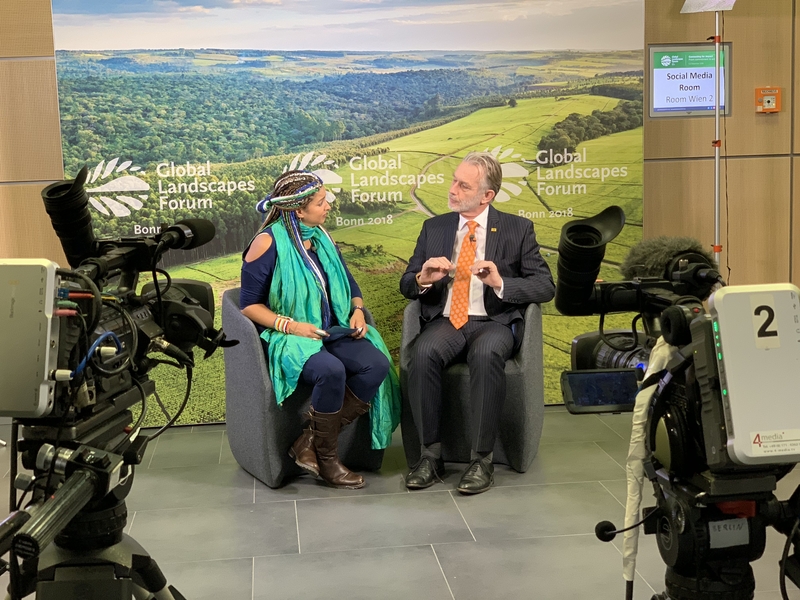 Dr Hans Friederich was interviewed by Natasha Elkington, TV host from CIFOR, as was INBAR’s strategic partner and collaborator Dy, Jiang Jingyan from ‘bamboo town’ Yong’an. With such a strong participation at the Global Landscapes Forum 2018, INBAR reaffirms its commitment to achieving the Sustainable Development Goals through a collaborative, integrative landscape approach.